While that 9 month long wait feels as though it can’t bring your arrival soon enough, the one good thing is that you then spend said 9 months creating a masterpiece for that little one. Seriously… does anyone spend that long on a normal bedroom? 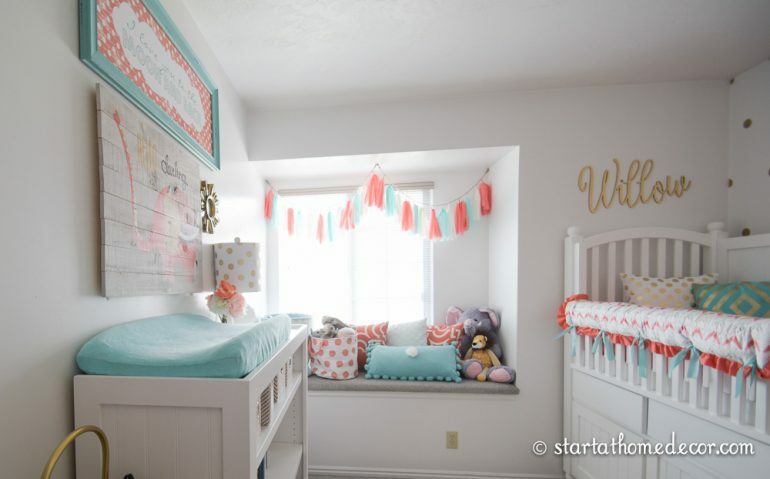 This adorable coral and teal nursery belongs to my neighbor. I wish I could take credit for it all, but the only I designed was the cute Willow cutout on the wall. 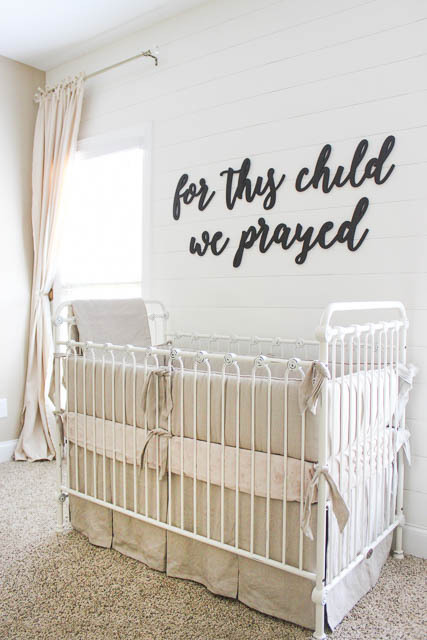 However, this nursery is absolutely too fun not to share! First things first. 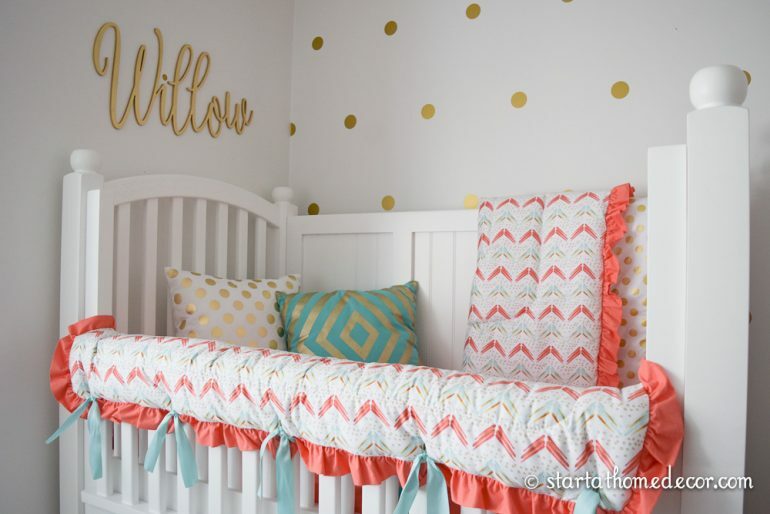 A nursery will be a lot easier to throw together if you can pick a theme. Coral and teal really work well here! I love that colors are changing and it’s not typical blue or pink anymore. Different varieties are fun! 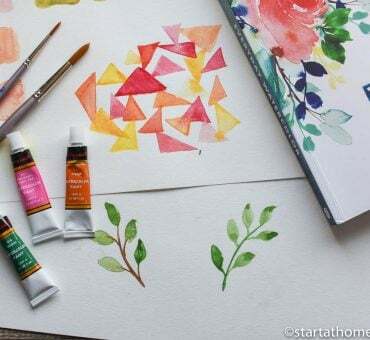 Include their name in your decor. I was so honored when Ashely wanted to put a cutout in this beautiful room. After Willow was born she came over to my house so we could design the perfect cutout for her little girl. I loved it so much I sell custom cut names. 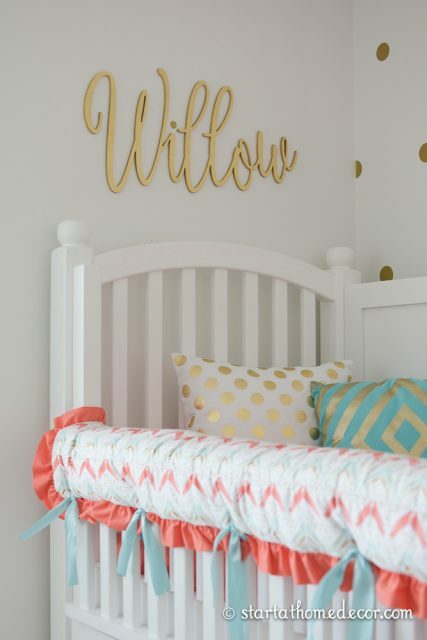 If you want something custom, please email: [email protected] Ashley painted Willow’s name with a metallic gold that goes perfectly with her vinyl gold polk a dot accent wall. Accent walls are always a fun variety to add that can bring in extra color. 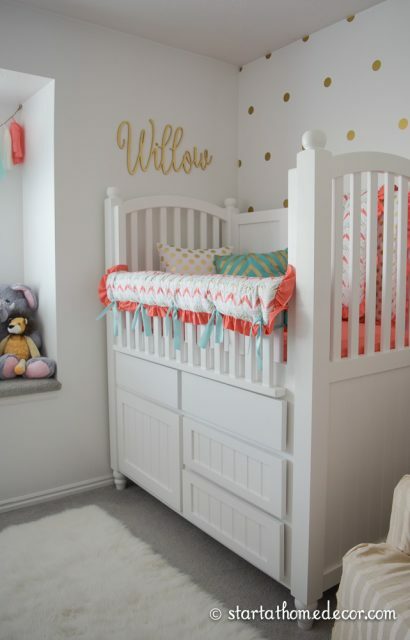 This crib was built for Willow by her dad, isn’t it amazing? I was seriously in awe when I was taking pictures. They have carved sayings into the sides for their little girl. It is such a beautiful piece of furniture! Add room accents in your color scheme. 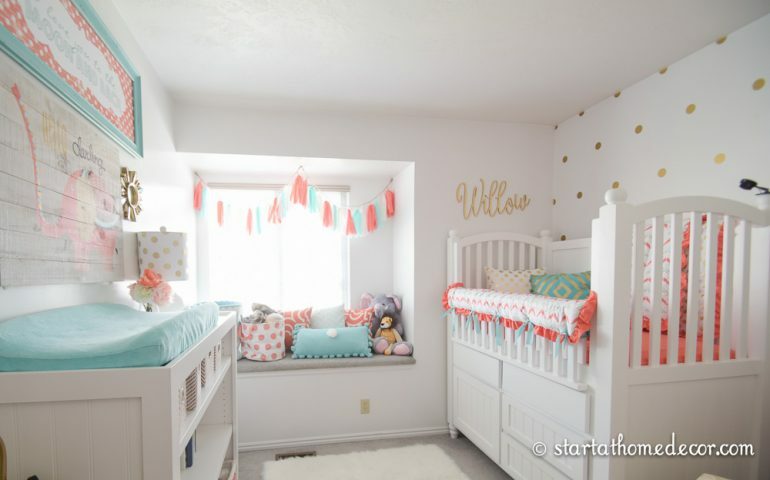 Ashely had her coral and teal baby bedding custom made, but she found most of her decorations at Hobby Lobby including the tassle garland in the window, the pillows and her darling little gallery wall above the changing table. If you don’t know what to do with that empty wall, try a gallery wall. 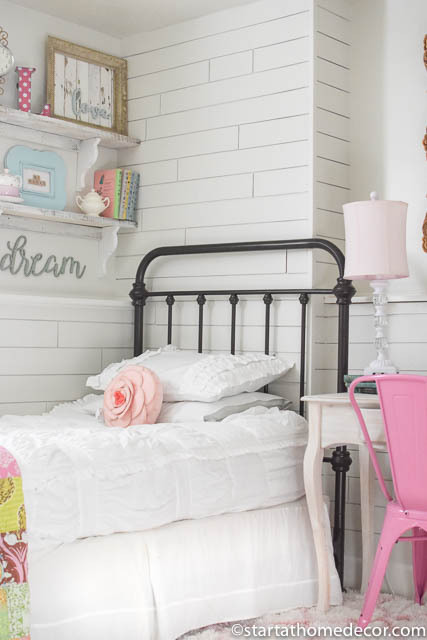 Gallery walls are always perfect for a child’s room. 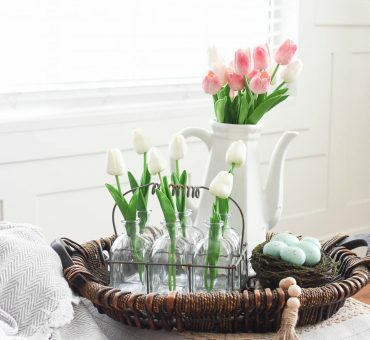 They can be simple or elaborate and bring in so much life to a bedroom. You can see some other girl gallery walls here and here. 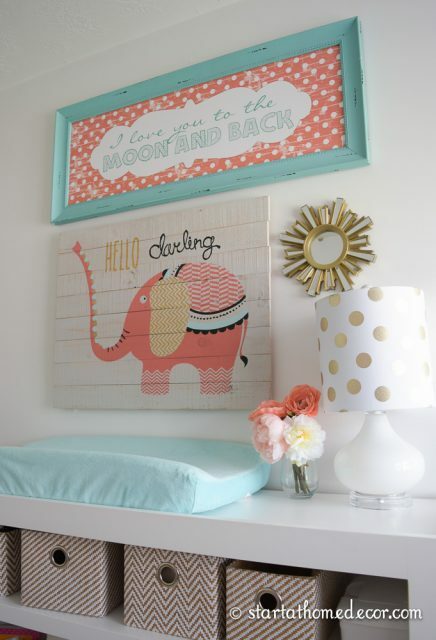 I love how the classic white walls and the white furniture make an awesome backdrop for this coral and teal nursery. It is so bright and cheery! 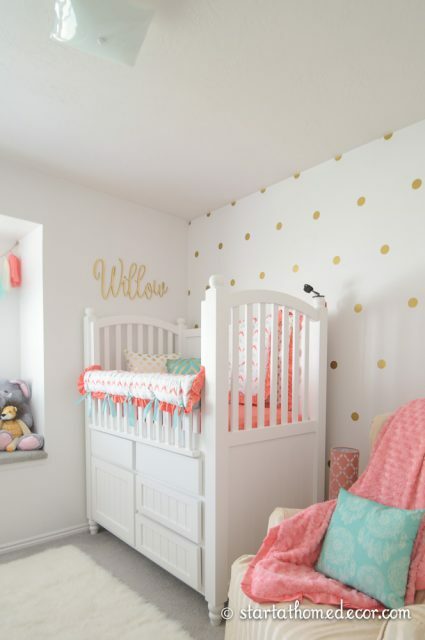 Absolutely love this color scheme and what she did with the room. Where did you get the polka dot lamp?